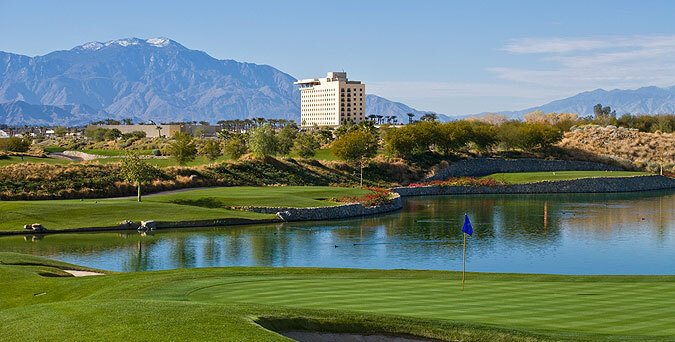 Eagle Falls Golf Course is adjacent to the Fantasy Springs Casino Resort, located off I-10 in Indio - just east of Palm Springs. The hotel property includes comfortable accommodations with resort amenities, and is connected to a modern casino featuring slots and all the table games that are available in California casinos. For more info on the beautiful Fantasy Springs Resort Casino, visit their website by clicking here. The golf course is now serviced by a temporary clubhouse with a pro shop and snack bar (on-course hospitality cart as well). There is a practice green for putting and chipping, plus a targeted grass driving range. The new E-Z GO golf carts are equipped with the latest Pro Link GPS, which provides hole diagrams, tips on how to play each hole, plus accurate measurements from tee to pin. They also feature ball & club washers plus coolers with bottled water for each player. Other features include Ping G10 rental clubs, PGA professional golf instruction for individual and clinics, and custom club fitting is also available. The course is open for public play, and guests of the resort can utilize the free shuttle to and from the resort and golf facilities. The property also welcomes charity and corporate golf outings and groups, Stay and play packages present good value deals all year round. 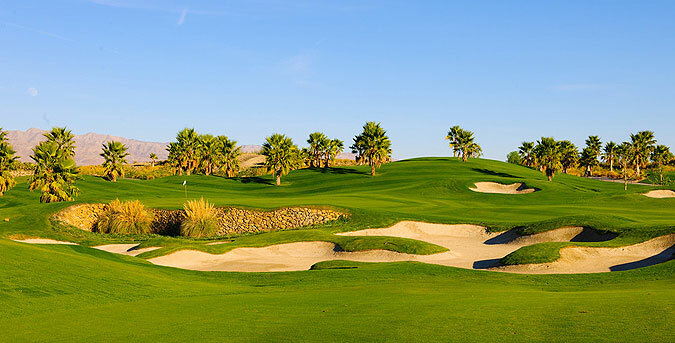 The golf course is the latest creative masterpiece of noted golf course architect Clive Clark, and features sculpted elevated tees and raised greens, and undulating fairways that are layered along the desert floor. Golfers will find that the landing zones look quite narrow off the tee - but the bowl effect created by the sloping sides will often funnel slightly offline shots back towards the middle. Shots straying too far will find the tall native grasses that flank the fairways - which most often will result in a penalty stroke. 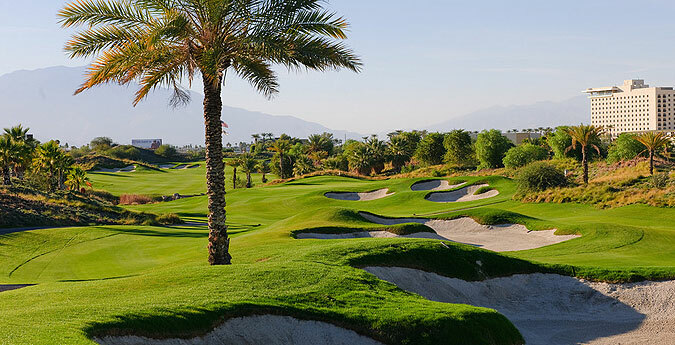 Like all great layouts - good shots are rewarded here, and bad shots will be penalized. The surrounding mountain vistas are simply gorgeous, blending in seamlessly with the golf course terrain. There are 4 sets of tee boxes, which play to distances and slopes measuring 6715 yards/133 slope, 6140 yards/128 slope, 5729 yards/119 slope for men and 129 for women, and 4917 yards with a slope of 119 for ladies hitting from the forward tees. There are approximately 70 soft sand bunkers - including some sprawling fairway and greenside traps plus meandering waste bunkers. Water hazards, in the form of lakes and ponds, come into play on 7 holes and add aesthetic beauty. Rates here are quite reasonable - we highly recommend a round here. For more information, visit our page for the course, with direct link to their website by clicking here.